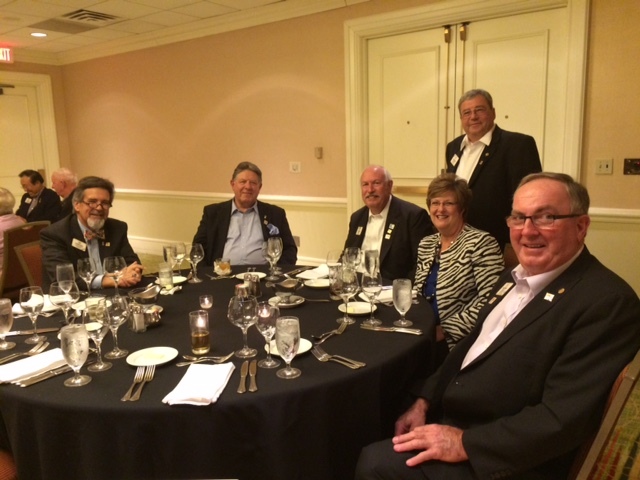 The room in Oakbrook, Illinois was full of highly motivated constitutional area coordinators from around the world, Lions Clubs International staff and administrative officers, and three current international directors. 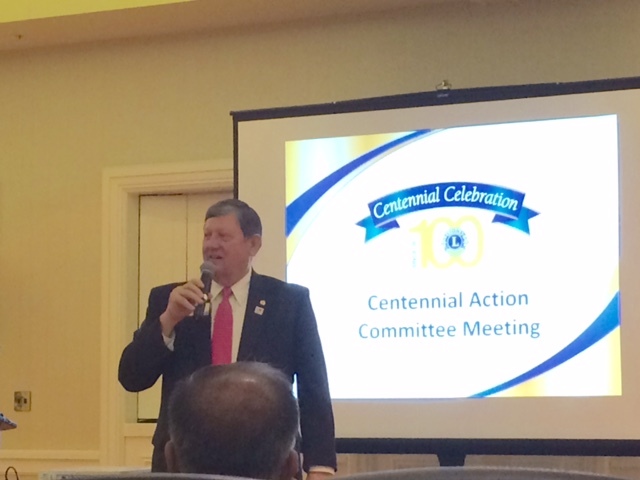 The purpose for the meeting was to bring the Centennial Action Committee up to date regarding ongoing LCI activities undertaken to make the Centennial Celebration of LCI an event never to be forgotten. 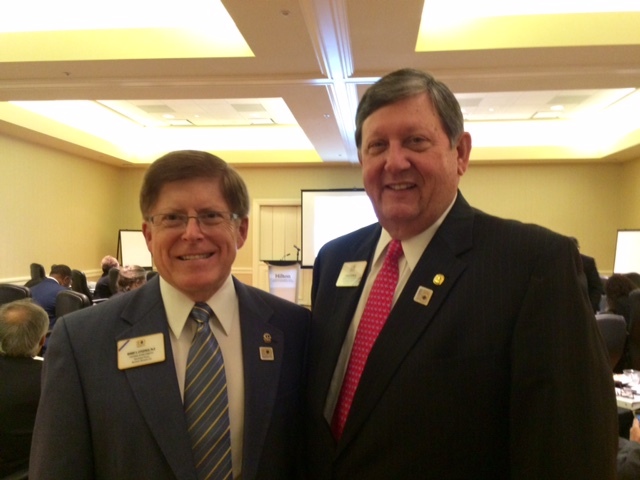 PIP Frank Moore effectively led the meeting held in Oak Brook, IL. Multiple District 5 was well-represented, as PID Marvin Chambers from Saskatchewan joined the committee as vice-chair for Canada, and I was added in my capacity as chair of the LCI public relations board committee. ID Robert and PIP Frank during a break in the meeting. 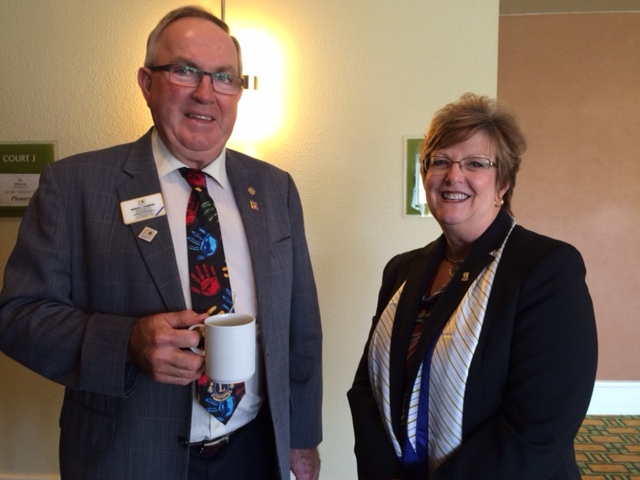 PID Marvin Chambers from Filmore, Saskatchewan and Lion Dianne Corlew enjoy an opportunity to catch up. There are so many things underway that it is almost head-spinning. District and club coordinators are being identified and trained and exciting events are being planned. We spent all day Thursday and Friday morning going through the program and making sure everyone understood the steps in the planning process. ID Ed Farrington, chair of the LCI finance committee was present to oversee budget expenses; and ID Jouko Ruissalo, chair of the LCI membership committee provided input on the centennial membership program; and I was there to identify ways to publicize and market the Centennial both within our association and to the various publics around the world. The LCI board of directors meets next week in Budapest so there will be much to share with the other board members when we convene. ID Ed Farrington (standing) is joined by PID Townsend, PIP Moore, 1st VP Bob and Lion Diane Corlew, and PID Chambers. Yours truly took the photo! When we left, we agreed that there was a lot of work ahead of us. But, we also knew that as a team, we were prepared for what lies ahead. This was a very productive meeting and I am glad to have been included. Next stop, the board meeting.